I keep my backpack light when I travel by packing only the essentials. Usually only my GoPro, phone, adapters, charging cables, computer, sunglasses, bathroom basics including sunscreen, wallet and passport make the cut. In my carry-on, there’s clothes and one pair of universal shoes. I never check a bag even if Athena is traveling with me. I’ve added three new tech essentials to my backpack that are worthy of prime real estate. They were such a great addition that I figured it would be a shame not to share. I love my GoPro; it’s my go-to camera for almost all of my travel needs. Regardless if I’m underwater, in the air or on land, it’s simple to use and produces quality pictures and videos. 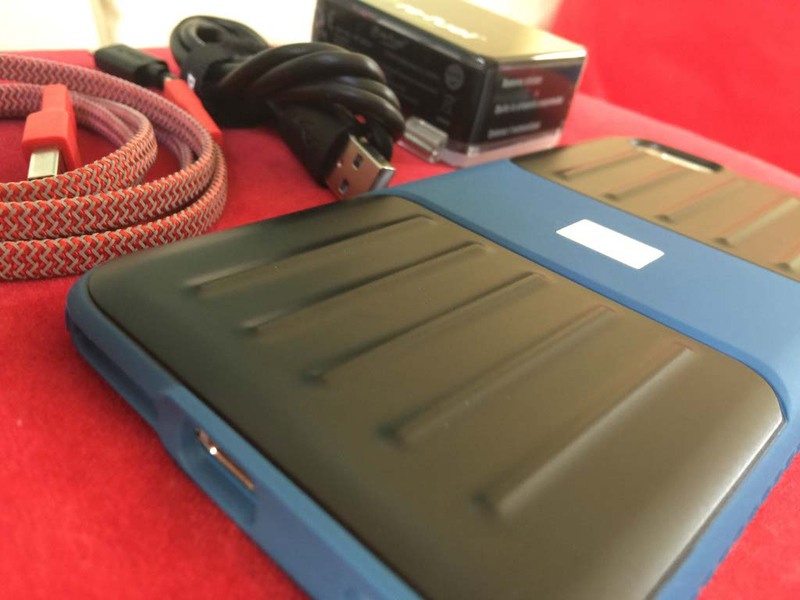 I use it so often, though, that an extra battery is necessity, especially when I’m traveling to remote locations with minimal power. 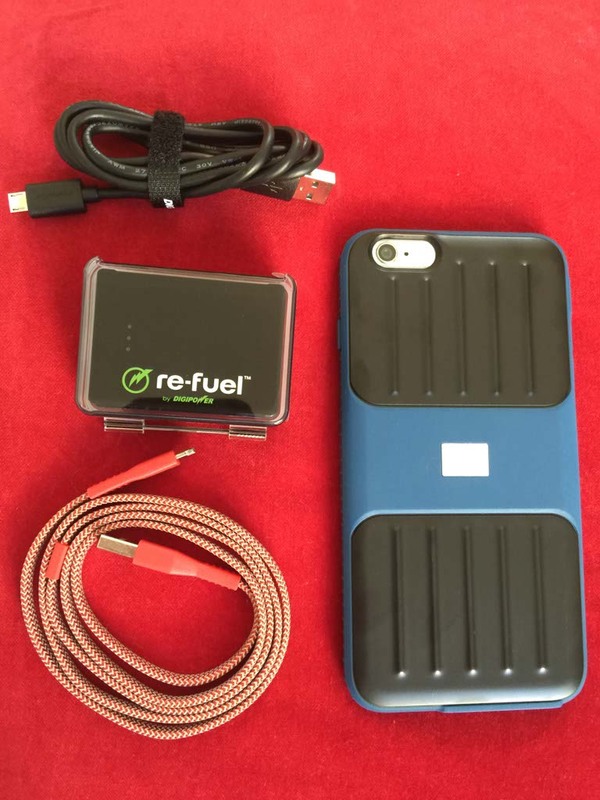 re-fuel is a tiny battery pack with a big punch. 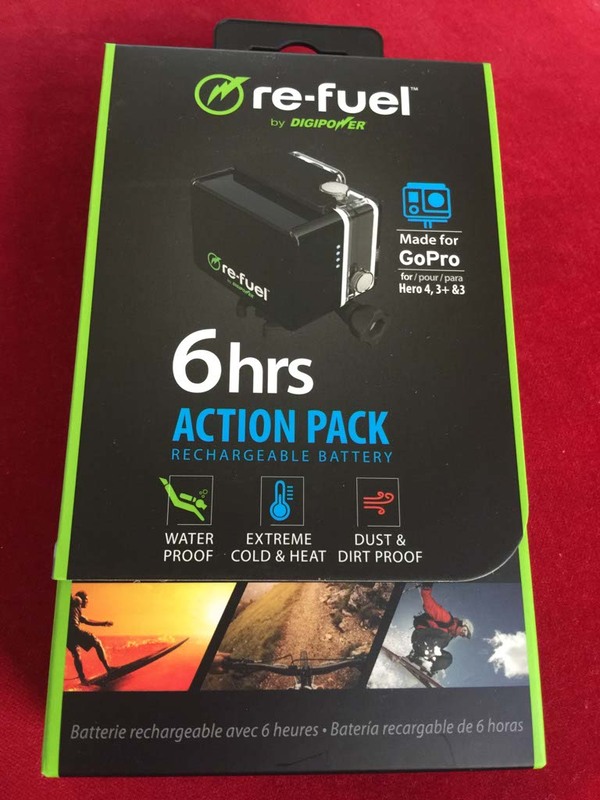 It adds six hours of battery life to my GoPro before needing a charge. It’s waterproof, dustproof and dirt proof and it can withstand extreme heat and cold, providing power from -22F to 122F, making it ideal for recent trips like polar bear trekking in Churchill, Manitoba or cage diving with Islander Charters off the coast of Mexico. It’s easy to clip on my GoPro housing and it’s compatible with all GoPro accessories. It’s wonderful to worry less about how much battery I have left and focus on the experience. I’ve dropped my iPhone 6+ more times than I’d like to admit. I need a protective case that is durable and is going to keep my phone safe. I have so much of my life in one place. 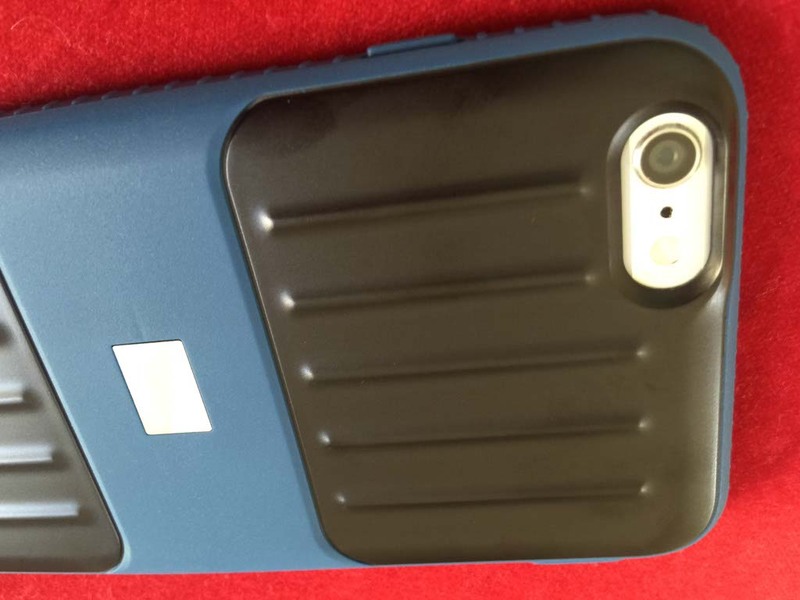 This new case is lightweight and utilizes TPU and polycarbonate that protects the back of the phone. The raised bezel around the screen ensures the glass front panel is protected and does not touch the ground. The grippy textures edging around the case is what really stands out for me. I needed something that I could hold on to while snapping pics in a variety of situations. It’s lighter than my previous case yet it offers more features. Neve cables by Lander are designed with both outdoor and indoor use in mind. I’ve already utilized the reflective technology when trying to find the cord in the dark. Usually when we travel, Athena sleeps in the same room as us. She falls asleep by 7 pm, leaving us searching for things with minimal light. I’ve started to wonder why more things aren’t reflective. The cable nylon and tangle-free, which is another great feature with children. They are lightweight and durable with the right balance of style and function. What makes the cut for you? Is there anything essential that I’m missing? Share below. With Christmas right around the corner, maybe I could add something to my list. This entry was posted in Travel and tagged tech, travel by lesleycarter. Bookmark the permalink. Very similar for those of us who backpack. This looks so good! I should try and order it soon. Amazon maybe? Hi Lesley, can you tell me how you charge this device? Is the battery just a shell for other batteries? Also, do you have pictures of the connectors. I’m trying to compare it to https://www.youtube.com/watch?v=aKA0c-_8HnI Let me know when you can. Thanks in advanced!